We are the one and only FUN company for your once in a lifetime event. 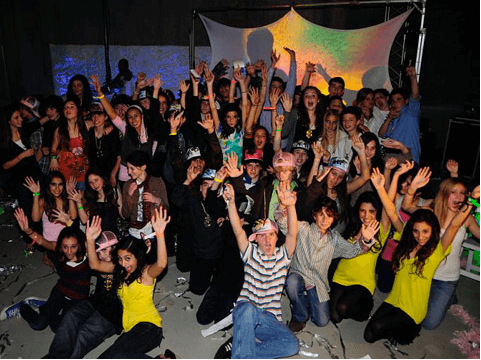 Once you’ve done the study, read the Torah…It’s time to party with family and friends and that is where we come in! We know how to celebrate! It doesn’t matter if its for the kids only, a family affair, lots of traditional touches, or games and/or games and dancing all night long with have experience with all of it. -Huge playlists, download on demand, pre-party access to music database to create your own custom playlist. -Experience-We’ve been doing this for 15+ years and chances are the owner and creator will also be your DJ. -Not only the best games but the best games ran the best way so everyone wants to play. -We will help you plan every aspect and run your party so great you will be unbelievably happy at the end and so will all your guests. Best part…because you booked with us…You (the mom, dad, client…) had fun too and got to mingle and hang with your guests, friends, family. No stress! Just Fun! Xtreme Fun!